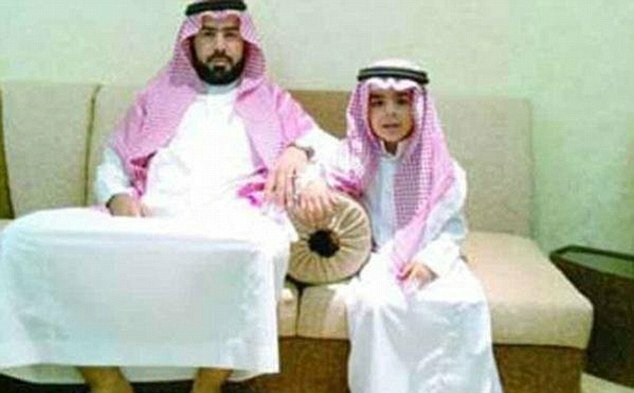 Saud bin Nasser Al Shahry is a Saudi father who is trying to sell his son on Facebook for around $20 million. The father claims he is selling his son to avoid “living in poverty” after his illegal business was shut down, it was reported today. Saud bin Nasser Al Shahry also claims trafficking his son is the only option to continue providing for his wife and daughter. The father says he is willing to go to court to complete the sale, the only condition of which is to know which city the buyer lives in. Saud bin Nasser Al Shahry made the decision after first asking whether the authorities could help him financially when his illegal debt-collection business was shut down by a court, he told Qatari news outlet Al Sharq. He was apparently denied the request because he was older than 35. It is not clear whether his actions are merely a publicity stunt or, if genuine, whether he would be able to carry out the sale without redress. Human trafficking is an offence in Saudi Arabia, but the country does not comply with minimum international standards, according to the U.S. Department of State. Facebook is also unlikely to allow such a sale through its website. According to Facebook Statement of Rights and Responsibilities, users “will not post content or take any action on Facebook that infringes or violates someone else’s rights or otherwise violates the law”. Around half of all Saudi children face domestic violence or some kind of abuse, it is claimed by a Saudi Arabian human rights group, The National Society for Human Rights.